Lockheed Martin has introduced a potential five-year, $30M scholarship initiative to help college and high school students pursue degrees in computer science and engineering. The company said Thursday its science, technology, engineering and math program will provide yearly scholarship grants worth $10K to 200 chosen students starting in 2019. Lockheed will continue to pick up to 200 students on an annual basis for inclusion in the STEM Scholarship program, which the company launched through its tax reform law-related savings. 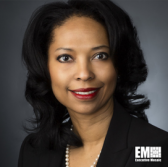 “We are looking for students who are creative and innovative – skills that are necessary for success in today’s high-tech economy,” said Patricia Lewis, senior vice president for human resources at Lockheed. Recipients will receive mentorship and internship opportunities and are eligible to renew the scholarship thrice. Scholarship America, a nonprofit organization, will facilitate the application process that is slated to kick off on Jan. 15.